I could sense my inner inertianista rapidly backpedaling as the IKEA agent scrolled through the pages of instruction for assembling the bookcase I was about to buy. Did I really want to commit to this project? Was my current bookshelf setup really so bad? Is the price right? Making decisions does not always come easy to me, even with something as simple as buying a bookcase. But keeping your options open can cause missed opportunities. Stall your progress. Keep you stuck with an old, ineffective situation on your hands. The mindset habit of indecision keeps you stuck. We forget that inaction is also a decision by default. The inner stall went something like this: What if I can’t figure it out? What if it doesn’t look like I want it to? What color should I get? Should I measure it again? Think about it and get it another time? Do I really want to spend time putting it together? It was the perfect size, shape, and degree of robustness I needed in a bookshelf. Fair price. Uncertain time investment required to put it together, as it came unassembled. Yet the pros clearly outreached the possible negatives. 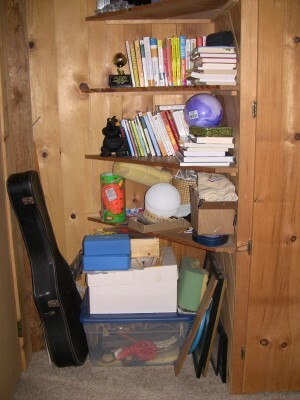 I had been shopping for a bookshelf to officially replace the old, quick-fix shelving we had thrown together years ago. Clearly, this was one of those times when nudging myself to flex the mindset muscle of ‘just do it’ was in order. I broke ranks with habit and pushed myself to buy. What I had expected to take a full day – building the bookshelf – was done within two hours. The joy of finding a new home for my reference books, the stack of which which I had been rifling my way through while writing the Fit Quickies book, was my reward. Plus, I experienced the strength and confidence that comes with making a choice and taking action. It’s a good feeling. And it builds mindset mastery that transfers all over the place. Within a week of building the bookcase, I had cleaned out two shelves in my office closet, condensed 4 boxes of photos into one, given away two crates of clothes and appliances to the curbside donation pickup, booked two new speaking gigs, and ate better than I had in a week. 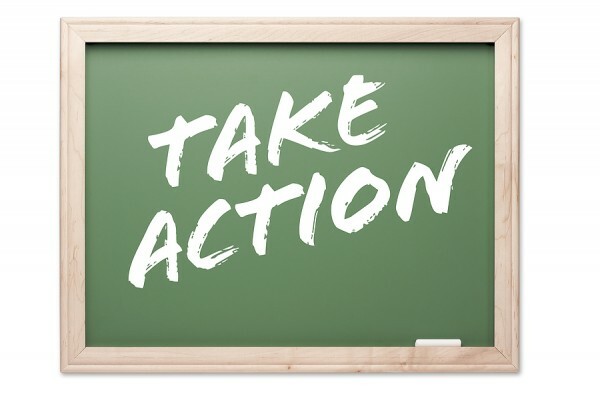 By practicing taking action in any one realm, you build the skill of just that – taking action. You strengthen mastery over complacency mindset. It becomes a stronger skill upon which you can draw. Taking action strengthens mindset mastery and helps you get unstuck. 1) Make a quick list of things you’ve been meaning to do but couldn’t quite decide commit to action. Maybe it’s cleaning out a closet, or replacing something in the kitchen that just doesn’t work well any more, organizing a drawer because you can’t decide what to keep or what to throw out. 2) Move past the inertia of indecision and take action. Feel the fear and do it anyway. Then sit back and enjoy the lightness of being that comes with taking the box to Goodwill, enjoying a kitchen tool that actually works, or opening that drawer now only filled with things you use. 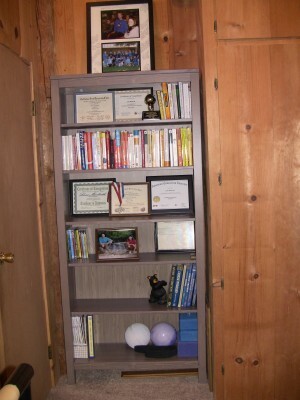 Build that bookcase so you can easily find a title or two. And watch the ripple effect of action. I’d love to hear what you plan to tackle – what action can you take today? Please share in replies below. P.S. Thanks to everyone on facebook who voted on the title for this article. Between 1) “How taking simple action strengthens mindset mastery and helps you get unstuck” and 2) “When you stop stopping yourself you become unstoppable”. Voting ran two to one for number 2 to title number two. It’s easy to catch updates. Sign up here. OMG! What an inspiration. Boy did this strike home for me. First thing that came to mind is ‘that corner’ in the garage. I’m tackling it TODAY. The bookshelf looks beautiful. Congratulations! Thank you Janet. Promise you’ll report back in after you do the garage project, OK? I absolutely LOVE that you posted your ‘before’ picture. I admire and respect the honesty in that. I know exactly what you mean about how it is when you get something going, it helps you get other things going too. Your story held me from the start. It got me going on my workout today, which has been being delayed for 3 days, I’m sorry to say. But I got it done today, thanks to you! I can’t tell you how nice it is to read your comments, and that you like the ‘before’ picture. It’s risky to show your dirty laundry but I know how much I appreciate it when someone else does it, so why not? Got your workout done! Woohoo and congrats! Thank you for sharing your ‘book shelf’ picture – for me, it really helps me see you once again, as, well, Lani – a real person. Not that I forget, but, I really appreciate how you take the time to share your real world with us. When you stop stopping yourself you become unstoppable (or, When I stop stopping myself I will become unstoppable! Laura-Grayce, thank you bunches for your comments. Yes, it’s real in here! And today I cleaned out a couple of more corners of my writer’s nest closet. No stopping us when we take action! Best to you on your plans to move forward tomorrow. My desk is like your book shelf. Sometimes I just can’t get on top of it. I will spend 30 minutes at it tomorrow, finding the top of it. We creative types! Order takes on an arty hue. But when we cross the line to clutter, we know it. I’m joining you with desktop order tomorrow. Thanks! Don’t you just love that ‘organized neat’ feeling! I had to laugh when I read Action #1 as I had just that moment sat down to check my email after walking through my home and making a list room by room of areas I want to tackle. I’ve taken Monday’s off through the summer, and I am planning on spending a portion of the ‘extra’ day doing these kinds of projects, a little computer finance work, and some self development work (I have recently picked up the Psycho-Cybernetics book again). You are right that once you start, you do become unstoppable and its amazing what can be accomplished. Thanks for your continued inspiration. Hey Sondra! What a treat to hear from you today and hear that we’re on the same page this week. Your Mondays sound marvelous and how is that all going? May your Monday mission tomorrow be accomplished! Mission accomplished…. I certainly was unstoppable. I did pause for a couple of relaxation periods but put time limits on those. The list of items I wanted to do certainly helped provide some focus and it was amazing how smoothly the day went going from one task to the next. Because I knew what was on the list, as I worked on something and perhaps went to put something away, I’d remember that the drawer was on the list to be purged/reorganized, and I’d just do it at that point and then move on to the next thing. It was very satifying to have checked off many of the items in my list, and I’m looking forward to seeing what I can accomplish next Monday. Sondra, what an excellent report! You must feel fantastic. And you get to enjoy the results of your work over, and over, again. Thanks for telling your plan, following through, and coming by to tell about it. Inspirational! I plan to clean my desk off. I’d post a picture but don’t know how so let’s just say it is piled high with papers on one side of my laptop and then on the other side is an in basket for my art business and classes, and past that stacked on an accordion file are bills that need to be filed. Too many stacks. This will be done by tonight at 9:30pm. Aleta – I like your thinking! The feeling of accomplishment will be awesome! Please report back in when the mission is done. The first thing I did after reading my 1st newsletter was click the link for the free preview of your book! Thank you 🙂 My parents began my 50 year journey to find the best diet when they joined Weight Watchers and became lifetime members. They were trying to lose weight but gain health. Mom was from Iowa and Dad Illinois so we were also a red meat and potato family a few times a week. I have tried to change with the times, but still love filet mignon on my birthday. My 25 year old daughter got the book by John McDougall, “The Starch Solution”. We were so excited by his explanation and the health benefits that we bought the maximum weight loss book as well & switched our diet right away. We did great for the first week and a half. We lost 5lbs each and both felt “cleaner” inside, but started getting sloppy and less strict. We cook for our family of 6 and the other 4 are only into this to varying degrees. In order to get back in gear, we’ve discussed making a vision board of our goals and the benefits we are trying to achieve with this major change. 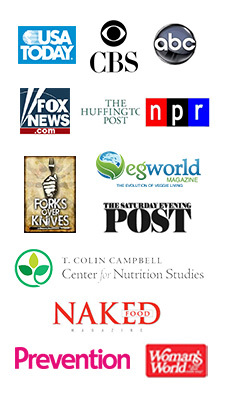 We want to improve our overall health and help the planet in the process. 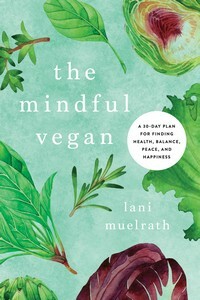 After reading your article I’m committing to doing it tomorrow as well as the meal planning for the week 🙂 Thanks for the well written encouragement and for sharing how you are putting this into action in your life as well! Congrats on your organization journey! What a treat to read your message today. Thank you so much for sharing your story and thoughts! First, you say this was your first newsletter – how did our paths cross? And I applaud the vision board idea – that is absolutely brilliant! 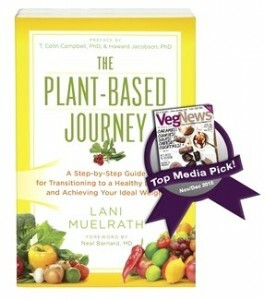 And how perfect to have the Awakening chapter of The Plant-Based Journey to assist. What a timing match. One question – you say in closing, ” Congrats on your organization journey” – what are your referring to with ‘organization’? I was searching plant based diets and found you 🙂 As far as the organization journey, I was referring to everything you’ve gotten done in the first lines above. I have been ill for many years and am trying to get through the house one section at a time to donate all the stuff we don’t use. What a wonderful list to accomplish! Dawn, thanks for your thoughts today! So sorry you haven’t been well for some time yet I can see you are very proactive and are doing what you can just the same. Inspiring! Keep me posted on your progress, OK? And so glad to meet you!